Try this Indo-Row workout from Meg! If you haven’t used our Indo-Row machines in the Multipurpose Studio, take a group fitness class first to learn how they work. 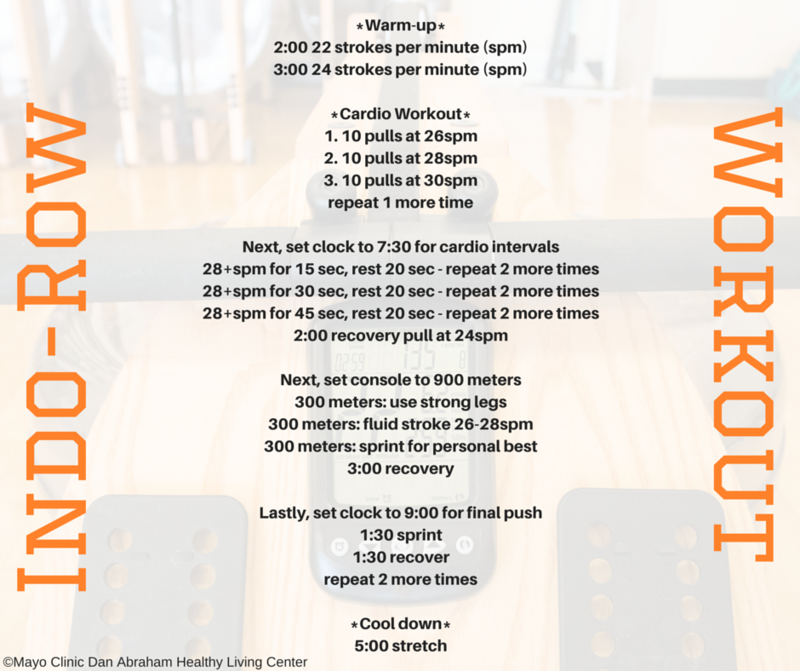 For this workout, start with the 5:00 warm-up then move to the cardio workout and end with a 5:00 cool down and stretch. And, remember to focus on your posture and long reach.